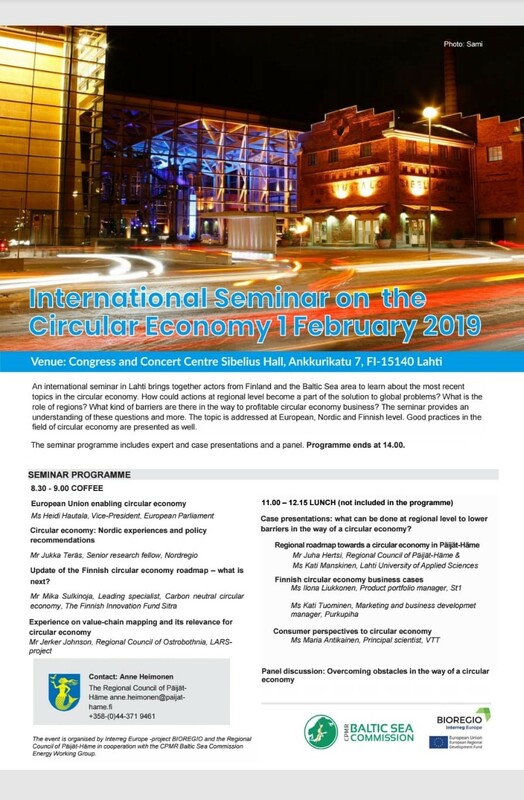 An international seminar in Lahti brings together actors from Finland and the Baltic Sea area to learn about the most recent topics in the circular economy. Jukka Teräs, Senior Research Fellow at Nordregio will share Nordic experiences and policy recommendations with the circular economy field. How could actions at regional level become a part of the solution to global problems? What is the role of regions? what kind of barriers are there in the way to profitable circular economy business? The seminar provides an understanding of these questions and more the topic is addressed at European, Nordic and Finnish level. Good practices in the field of the circular economy are presented as well.